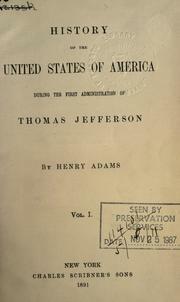 Are you sure you want to remove The education of Henry Adams from your list? 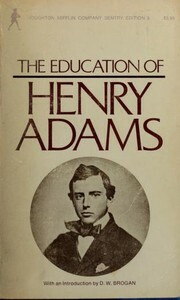 The Education of Henry Adams is the autobiography of the Bostonian Henry Adams. 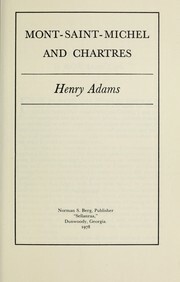 As he approached his seventieth birthday when "the mind wakes to find itself looking blankly into the void of death," Adams wrote and privately printed 100 copies of his "Education", a reflection on the incredible events of the 19th century. 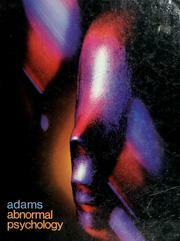 Adams meditates on his sense of disorientation with the scientific and technological expansion over his lifetime. After his death the book was commercially published, going on to become a best-seller and to win the Pulitzer Prize. in English - 1st Mariner Books ed. 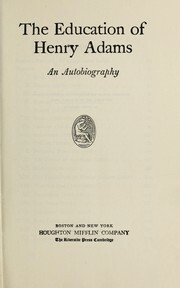 in English - 1996 Modern Library ed. in English - 1st Vintage Books/Library of America ed. The education of Henry Adams: an autobiography. in English - Time Reading Program special edition. 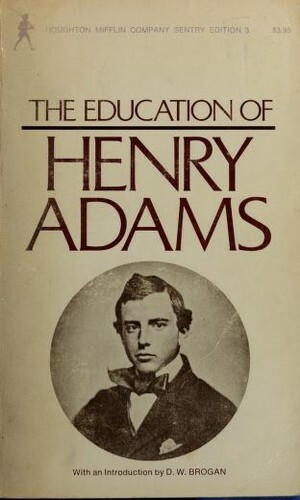 The education of Henry Adams: an autobiography. With a new introd. by D.W. Brogan. 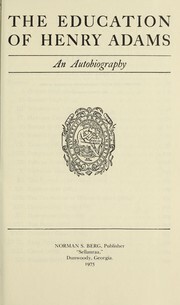 1928, Constable & co., ltd.
in English - Popular edition.